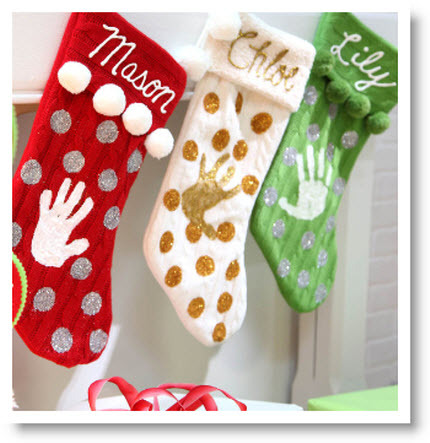 These “Monogrammed Memories Stockings” come from “Joann Fabric”. All you need is a readymade stocking and you can then get creative. I love the little hand-prints, too cute. This is an easy last minute project for all family members.